Photo 1-3: Screw, setting cap spring, old number 6096. 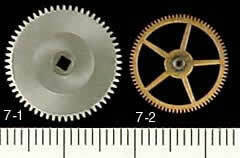 Photo 4-1: Wheel, minute- complete with pinion. Photo 7-1: wheel, ratchet old number 669. 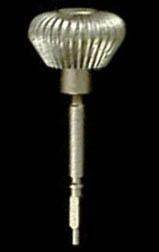 Correct Stem For Hamilton 4992B and Hamilton 2974B. 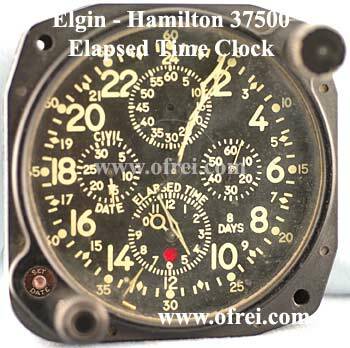 This crystal can be glued on the Hamilton Military Timer AN5740 (4992B mvt), if you have a crystal press and can press in then use the the PKH-49, which is 43.80 mm. Exact size needed can vary to case to case depending on wear and slight manufacturing variations of same case. 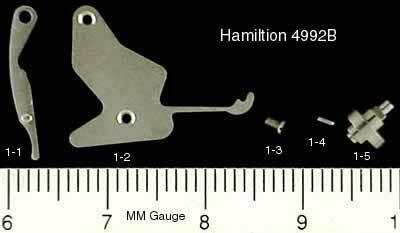 This crystal can be press in on the Hamilton Military Timer AN5740 (4992B mvt) to fit., if you do not have a crystal press then use the the PKH-48 1/2, which is 43.50 mm and a drop of GS crystal cement. Exact size needed can vary to case to case depending on wear and slight manufacturing variations of same case.